Though no kilt was made to accompany these, they’d be perfect for traipsing around the highlands. 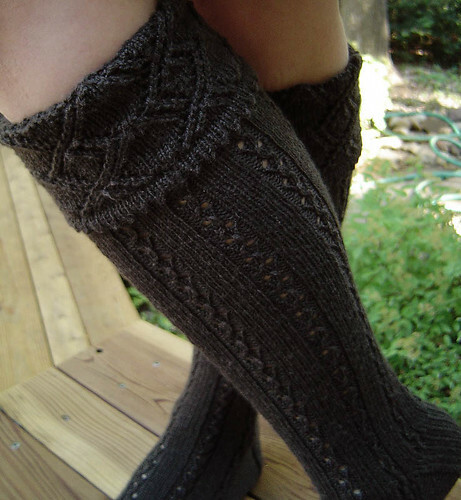 These are from Nancy Bush’s Folk Socks, knit with Regia Silk (4-ply). 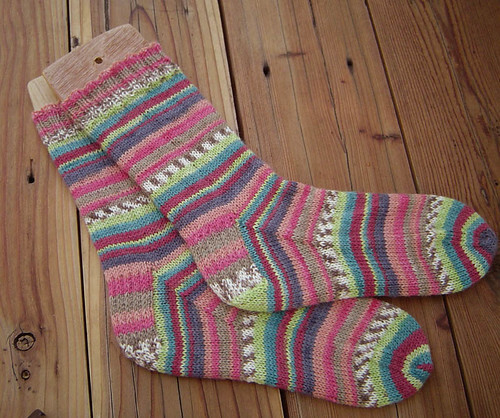 While she was wrapping those up, she finished another pair of basic socks (knit using ONline Supersocke). Wow! The kilt hose are AMAZING! oiy! nice job, v. did ye take up the bagpipes too, lassie? 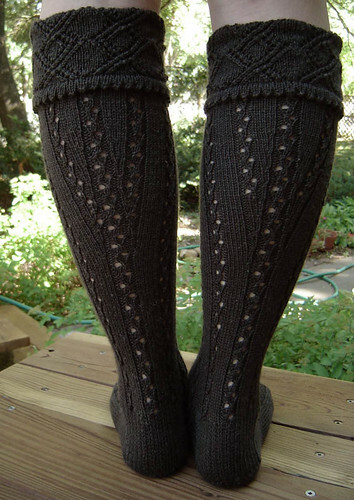 Terhi is a sock inspiration – but so is V! these are gorgeous 🙂 I need my sock “mojo” back! they are absolutely stunning – I really regret I didn’t get some of that reiga silk last time I had a chance (well.. there is always the internet… 😉 )- looks like the perfect choice – copy or not – it’s fantastic knitwork! I like the muted pink hue of the onlines too! !